We’ve had three successful TV shows stemming from the Marvel and Netflix partnership, and we’ve got more to come. Of all those upcoming shows, I’m highly interested in Iron Fist and I’d like to talk about all my reasons. We’ve seen three different Marvel Netflix TV shows already, and each of the first seasons of these shows all received a Rotten Tomatoes rating of more than 90%. If it weren’t for the 76% rating that Daredevil’s second season had, these Netflix shows would have a high batting average. 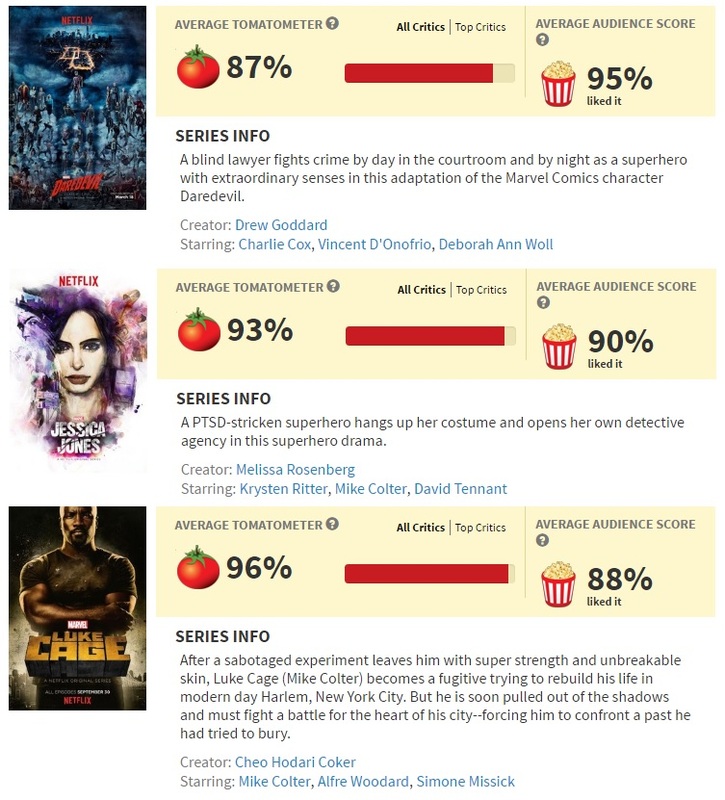 The Marvel/Netflix shows have been received positively by both critics and audiences alike. You know that a Marvel/Netflix show is going to be good – the producers seem to know what they’re doing. Of course, Iron Fist might be the one that falls below expectations, but it’s safer to assume that the series will be of like quality as the shows that came before it. I didn’t think much of the Iron Fist character back in the 90s during my early years of being a comic book fan. I knew him as Luke Cage’s partner/co-Hero for Hire, and he was a frequent Spider-Man guest star. But my opinion of him changed when I read the Immortal Iron Fist comics run by Ed Brubaker, Matt Fraction and David Aja. 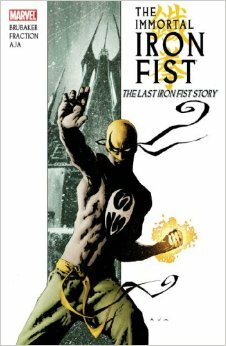 The Immortal Iron Fist comic book series redefined the Iron Fist character. Iron Fist is more than just a martial arts expert who can focus his chi onto his fist and make it as hard as iron – the mantle of Iron Fist is actually a special title similar to how Doctor Strange received the title of Sorcerer Supreme. Most of the superheroes of the Marvel Cinematic Universe gained their powers because of an accident (e.g. Daredevil, Spider-Man) or as part of a science experiment (Captain America, Hulk, Luke Cage); very few had to train for the part for years and was chosen like Iron Fist was. This Iron Fist mantle comes with a rich mythology behind it, one that’s full of mystery and mysticism. It looks like the first season of Iron Fist will focus on his return to New York; I’m interested in how he’s going to be introduced to the Marvel Netflix Universe. 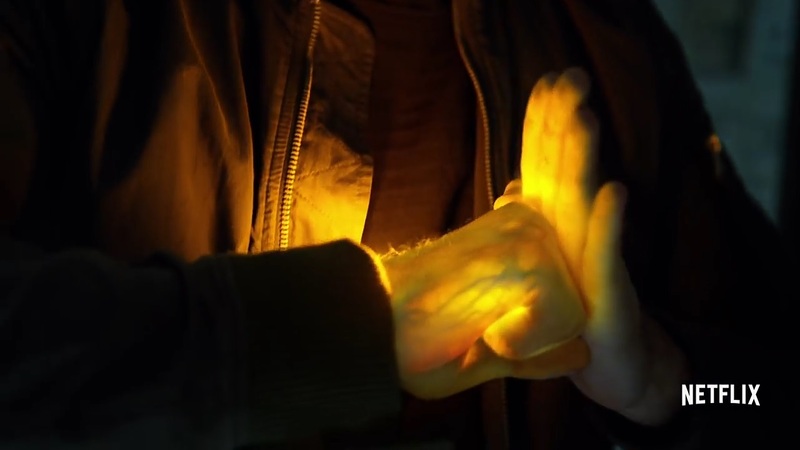 But I’m even more interested in future seasons when the producers start to draw storylines from the Immortal Iron Fist series, which almost has an anime-ish feel to it – from martial arts tournaments facing other super-powered martial artists, to the discovery of a manual with secret martial arts techniques – it makes Iron Fist like Marvel’s equivalent of a Naruto or Son Goku. 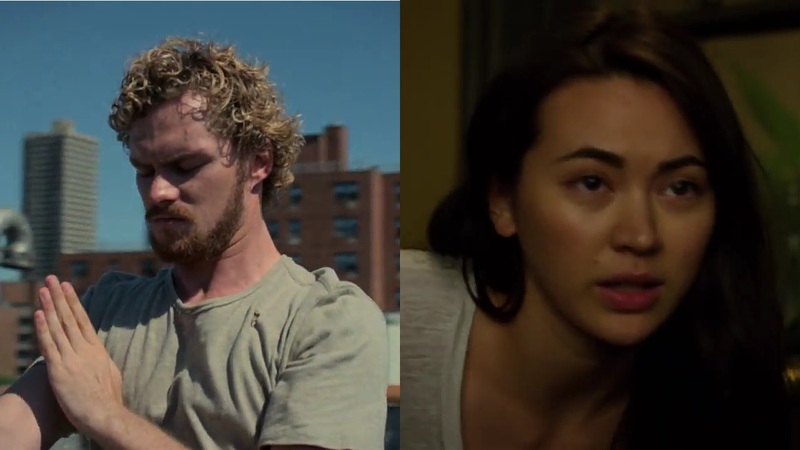 Iron Fist got my attention really early when I heard who was cast for the leading roles: Game of Thrones alum Finn Jones (Loras Tyrell) as Danny Rand/Iron Fist and Jessica Henwick (Nymeria Sand) as Colleen Wing. Seeing Game of Thrones actors in other projects is always a treat. It may just be me, but Game of Thrones seems to be a good training ground for up and coming actors. I liked the performances of Richard Madden in Disney’s live action version of Cinderella, Alfie Allen in John Wick, and Sophie Turner in X-Men: Apocalypse. So I’m quite interested in seeing what Jones and Henwick can add to the Marvel Netflix shows. 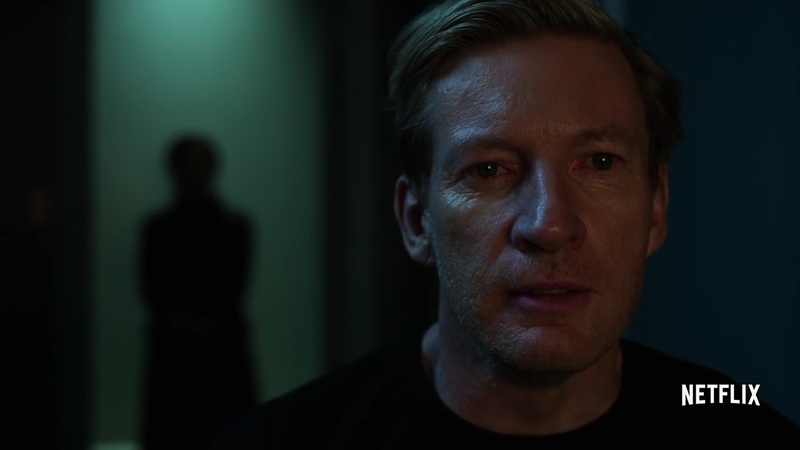 It’s been a while since I last saw David Wenham in a major mainstream project and I’m so glad to see him back in the limelight again. Who is David Wenham, you say? He’s the actor who played Faramir in the Lord of the Rings trilogy, Friar Carl in the horrendous Val Helsing movie that starred Hugh Jackman in the title role, and Dilios, the Spartan who was sent home in Frank Miller’s 300. I always thought he’d have a career path that’s similar to fellow LotR alum Karl Urban – leading and supporting roles in various fantasy/sci-fi films, but for some reason David Wenham stepped down and did a lot of theater work after his appearance in 300. But he’s back now, and for the first time I’ll get to see him play the role of the villain. While the Marvel Cinematic Universe films continue to get criticized for the lack of depth of their villains, the Marvel Netflix shows often get praised for having compelling antagonists: Daredevil’s Kingpin and the Punisher, Jessica Jones’ Killgrave, and Luke Cage’s Cottonmouth and Black Mariah were all well-rounded, multi-faceted characters. I don’t know much about Harold Meachum (Wenham’s character in Iron Fist), but I’m excited to see what the veteran character actor does with the role. 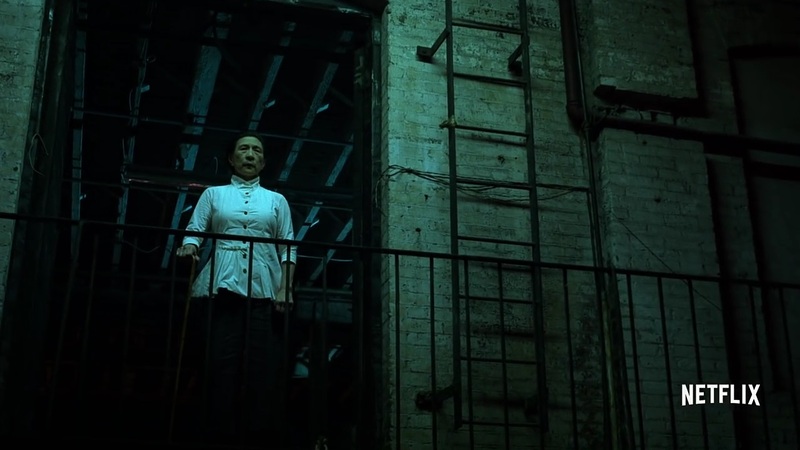 One of the somewhat unresolved plot lines of Daredevil Season 1 involves an intriguing side character: Madame Gao. Of Wilson Fisk’s allies, Madame Gao was shown as an equal whom Fisk respected, or even feared. While Daredevil was able to bust up Madame Gao’s heroin operations, he couldn’t do anything to stop her from avoiding capture. Madame Gao looks to have a more prominent role in Marvel’s Iron Fist, and I’d like to see more of her character. Why was Fisk treating her as an equal? What secrets does she have that we didn’t see in Daredevil? We’re likely to find out more in Iron Fist. I don’t think I can reiterate this enough – Marvel’s The Defenders is a special event for any superhero fan. Sure, DC/The CW did the crossover thing first with it’s properties and they have Legends of Tomorrow – a show that features characters from Arrow and The Flash. But Marvel’s The Defenders is special. This is not just a pair or a series of crossover episodes – it’s a full season with a complete arc that focuses on the team of heroes, much like the Avengers isn’t simply a movie that features all of the MCU’s heroes. And unlike the Legends of Tomorrow show, The Defenders consist of characters who have headlined shows on their own. (Not saying that Legends of Tomorrow is bad – the Defenders is just different in this sense). Keep calm and do the Iron Fist. Being the final show to be introduced before the big Defenders season, the first season of Marvel’s Iron Fist could give us hints of what the plot of The Defenders is going to be. What threat or problem is going to make these four individual characters unite and become part of each other’s universes? We might get a preview in Iron Fist. And even if we don’t, it’s better to experience The Defenders having seen all of the Marvel Netflix shows that came before it. You become privvy to the in-jokes, you’ll be able to relate to the easter eggs, and minor details will make more sense. What’s going to happen when Jessica Jones and Misty Knight, both with a “special” past relationship with Luke Cage, meet? How is Jessica Jones going to react to Claire Temple (and vice versa)? How will Danny Rand and Colleen Wing fit into this TV universe? We’ll have a better understanding of it all by catching the pre-Defenders shows, Iron Fist included. And these are the reasons why I think Marvel’s Iron Fist is a must-see TV show for Marvel fans and comic book superhero fans in general. All thirteen episodes of Marvel’s Iron Fist season one is scheduled to be released on Netflix this March 17, 2017. What do you think about Marvel’s Iron Fist and the Marvel/Netflix shows in general? Are you a fan like myself? Let us know what you think by leaving a comment or two below! After I saw Defenders I watched “Iron Fist” because I wanted to learn more about Colleen, but the real gem for me in IF was watching the cycle of abuse in the Meachum family. It was the best done part of the series, a lot better thought out than Danny’s personality. Thanks for the comment! This was written months before the release of Season 1 – now we know that the season was critically panned. Personally, I haven’t watched it myself. I’ll keep an eye out for this though.